It's been a busy autumn so far in our Orangery Restaurant, with weddings and celebrations to cater for as well as our everyday dining. Take a look below at some of the dishes that we've produced over the past couple of months. Remember our menu changes daily, and we always have around 6 options for each course. TL: Saddle and Shoulder of Cabrito Goat Meat, with Melting Cauliflower, Ticklemore Goats Cheese and Beetroot Potato Terrine. 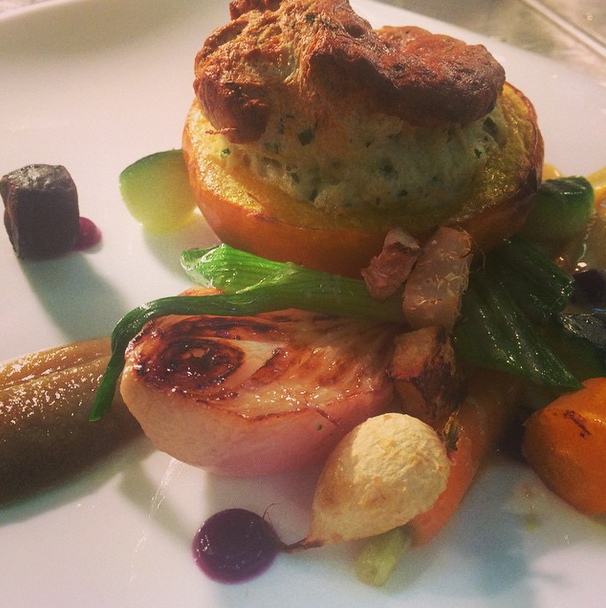 TR: Baby Pumpkin with Dovedale Blue Soufflé, Autumn Vegetables and Jerusalem Artichoke Reduction. 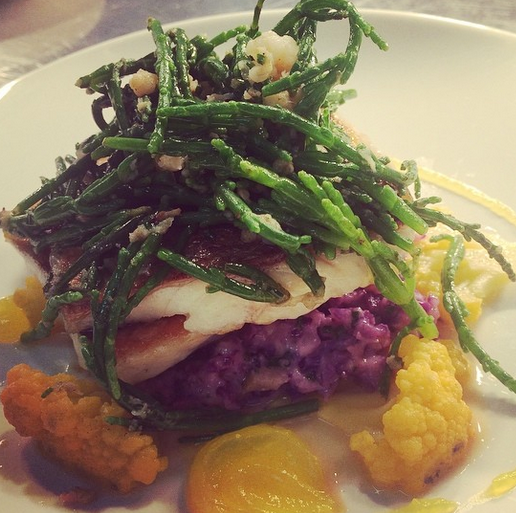 ML: Bass with Purple Cauliflower 'Risotto', Potted Shrimp and Samphire. 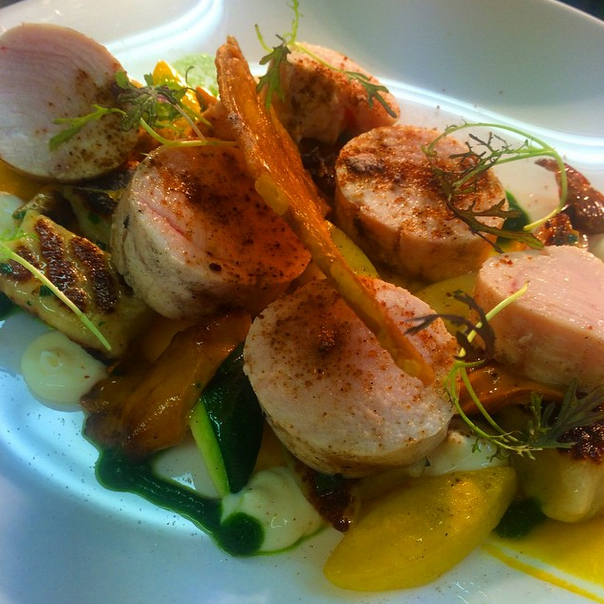 MR: Chicken with Crispy Skin, Gnocchi, Parsley and Courgettes. 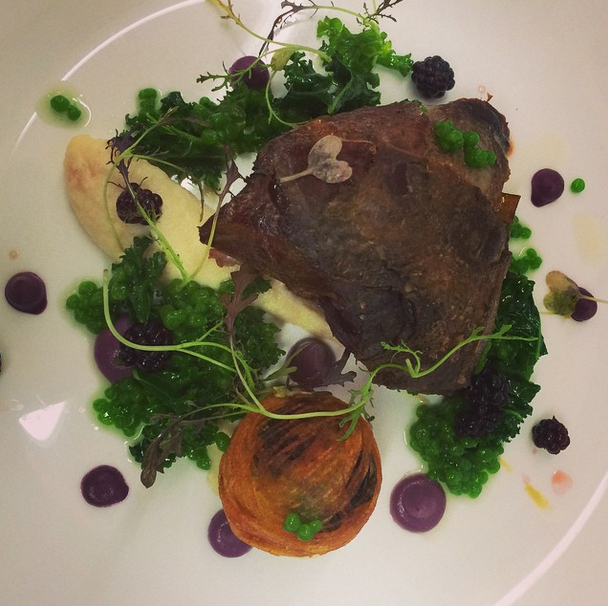 BL: Grouse with Braised Leg, Savoy Bonbon, Celeriac, Red Cabbage, Pickled Blackberry and Watercress. BM: Saddle, Shoulder and Rack of Cabrito Goat Meat with Smoked Beetroot Puree and Pomme Anna.